Featured images in WordPress play a crucial role for drawing visitor’s attention. 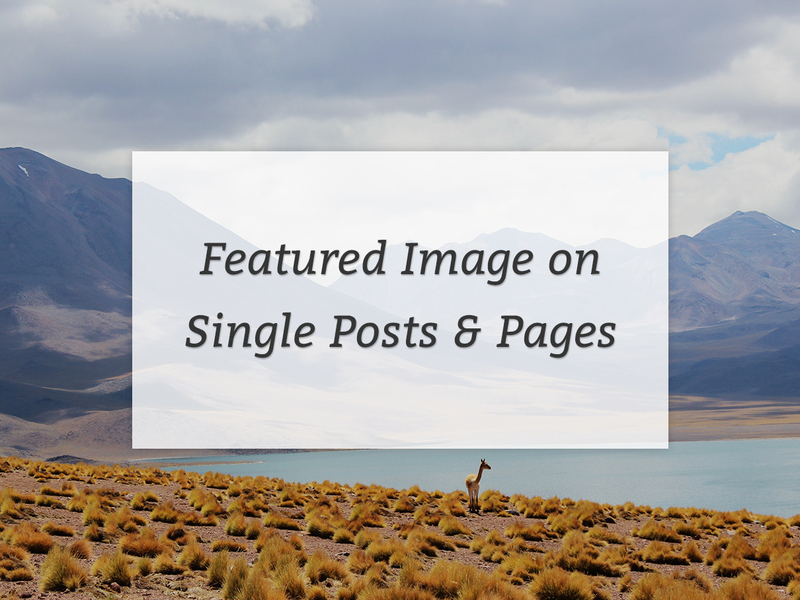 Using featured images for posts is a good idea for enhancing the user experience. Genesis by default allows you to enable or disable the featured images on the blog page and archives via Theme Settings. But there is no setting or option in WordPress or Genesis to allow you to display the featured images on posts or pages. Or you can also use a completely different location / hook to display the featured image. Check out Genesis visual hook guide to see the complete list of available hook locations in Genesis. You can use one of these hooks to display the featured image. HI – Found you post about displaying the featured post on single posts pages very helpful! Wanted to let you know that while it absolutely worked for the single posts pages, it ended up duplicating mages on standard pages so I had to delete the code from the functions.php file to return it to normal.